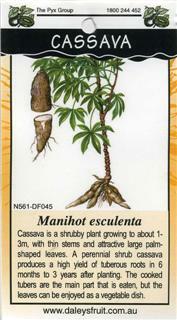 Cassava is a shrubby plant growing to about 1-3m, with thin stems and attractive large palm shaped leaves. 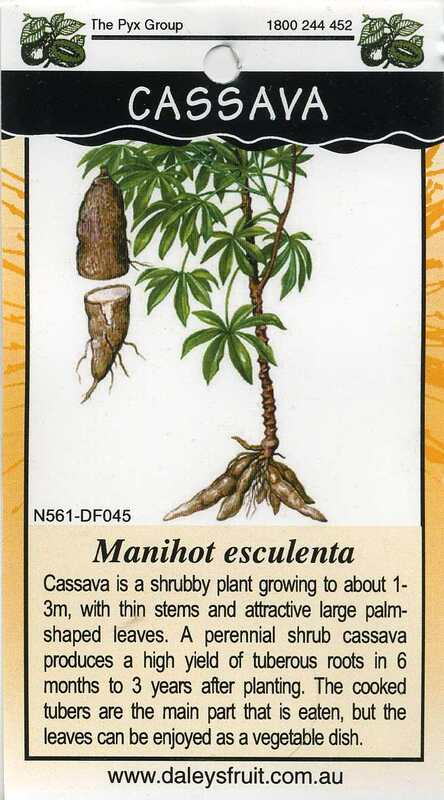 A perennial shrub cassava produces a high yield of tuberous roots in 6 months to 3 years after planting. The cooked tubers are the main part that is eaten, but the leaves can be enjoyed as a vegetable dish.